Fishbone has something for everyone. They’re focus is a ska/ reggae sound, but they jump around all the way to a pretty aggressive nu-metal sound. They’re known for their unforgettable performance, unmatched sound, utter insanity and flamboyant outfits to match their equally flamboyant personalities. The eclectic and disparate group gained a cult following in the 1980’s but never found a mainstream audience. They released several albums that were a hit with their close followers, but the group began to lose their popularity and founding members in 1993 after the release of their fifth album, Give a Monkey A Brain and He’ll Swear He’s the Center of the Universe, and were whittled down to a five piece group come the end of 1995. More members bailed, their label dropped them and more albums went under the radar. 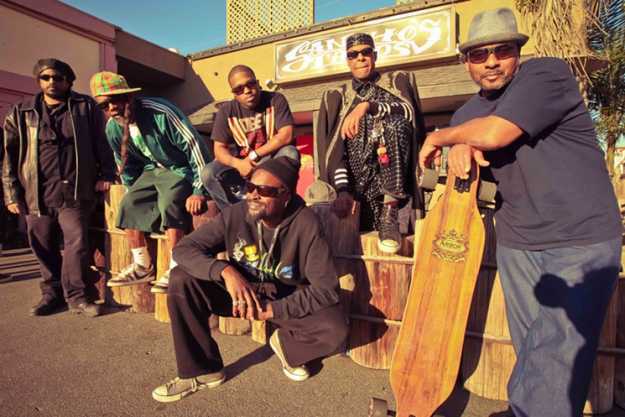 But now, Fishbone is making an epic come back with all of it’s original members and are off to showcase some of their best work. They’ll be coming to the Warehouse in Fairfield Connecticut, March 23rd, The Gramercy Theatre in New York, New York March 24th, and The Waiting Room in Buffalo, on March 26th. They’ve been deemed one of the most entertaining bands to see live by several recognized artists like Les Claypool of Primus. “Fishbone is the world’s greatest live band… I’ve been blown away by them many times.” Jerry Cantrell of Alice In Chains was also a huge fan of the group. “One of the most incredible bands I’ve ever seen, period.” It’s shaping up to be an incredible show. Even those who have never heard of their music are bound to find something in Fishbone’s repertoire that they will enjoy. The performance at The Warehouse will cost $28 a ticket and $32 the day of the show, with doors opening at seven and the show starting at eight.